Motorboat rental with capacity from 10 to 40 people. This trip is for tourists who want the opportunity to create an itinerary of their choice and possibly followed by an happy hour to be entertained and make this experience even more special. We give you customized offers with advanced reservation, so that we can assure you full availability for the chosen period. All motorboats are driven by competent staff, equipped with compulsory safety kit which is necessary during navigation. Rental price includes fuel. EXCLUSIVE SERVICE for meetings and congresses. 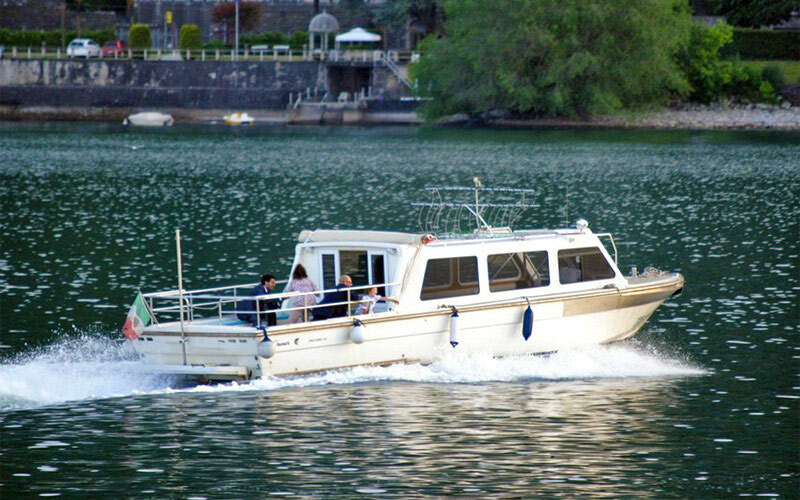 EXCLUSIVE SERVICE of transport for newlywed couples who chose Lake Maggiore setting.